We are professors, researchers and students from different universities united by the interess in medical informatics. In 2017, we had a first event in Chile during the month of May. 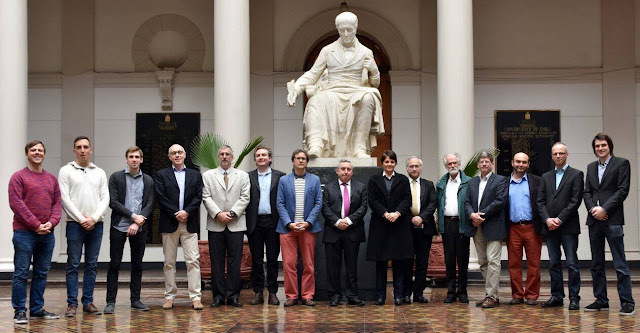 In I International Academic Forum on Medical Informatics, we had the opportunity to visit and learn about the works developed by the University of Chile, the University of Talca and the University of Valparaiso, besides we will hear conferences given by professors, researchers and PhD students from Germany, the United States, Uruguay and Brazil. Now, in September 2017, we will have II International Academic Forum on Medical Informatics, in Brazil , to exchange experiences and to know Brazilian scenarios in biomedical informatics. Assistant Professor, Department of Internal Medicine, Pontificia Universidad Católica de Chile. Affiliate Assistant Professor. Department of Biomedical Informatics and Medical Education, University of Washington.